T. D. Tran and A. D. Smith, “Thermo-economic Analysis of Residential Rooftop Photovoltaic Systems with Integrated Energy Storage and Their Impacts toward Electrical Distribution Networks,” Sustainable Energy Technologies and Assessments, vol. 29, pp. 92-105, 2018. T. D. Tran and A. D. Smith, “Incorporating Performance-based Global Sensitivity and Uncertainty Analysis into LCOE Calculations for Emerging Renewable Energy Technologies,” Applied Energy, vol. 216, pp. 157-171, 2018. 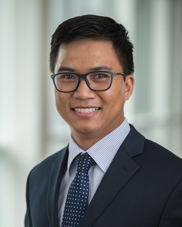 T. D. Tran and A. D. Smith, “Evaluation of renewable energy technologies and their potential for technical integration and cost-eﬀective use within the U.S. energy sector,” Renewable and Sustainable Energy Reviews, vol. 80, pp. 1372-1388, 2017. T. D. Tran, K. Park, and A. D. Smith, “System Scaling Approach and Thermoeconomic Analysis of a Pressure Retarded Osmosis System for Power Production with Hypersaline Draw Solution: A Great Salt Lake Case Study,” Energy, vol. 126, pp. 97-111, 2017.